In my class on the Law of Evidence, I have adopted the model of the Flipped Classroom, which provides students with pre-packaged material to study outside the classroom (the “lecture” part of the experience) and encourages students to use class time to work on problems and discuss issues in small groups, and later with the entire class. My teaching capsules are now all available on my evidence page. In May 2016, I made this movie that takes you step by step through the Flipped Classroom and details what students actually do in my class. Why do I use the Flipped Classroom? Most importantly – I feel it works. The standard lecture/Socratic framework of law classes, in my view, is problematic. Although these methods may at one time have been an effective way of sharing knowledge or imparting it to students, the majority of today’s students do not learn from these methods effectively, often struggling to absorb the professor’s carefully crafted teachings. A related problem is that of student disengagement. My first talk on the Flipped Classroom at the Future of Law School Conference explains my reasons for moving to this mode of teaching. Moving to a flipped classroom style of teaching is not easy. To read about the methodology, download my article Taking the Instruction of Law Outside the Law Outside the Lecture Hall: How the Flipped Classroom Can Make Learning More Productive and Enjoyable (For Professors and Students) published on SSRN. In late 2013, I was on a panel with Craig Forcese of the University of Ottawa – another dedicated “flipper”. We talk about the potential and challenges of this teaching method. We co-wrote and published a paper that draws upon the panel discussion. The Flipped Law Classroom: Retooling the Classroom to Support Active Teaching and Learning. View my videos for tips on how to use problems in the Flipped Classroom, workload issues and the best way to get quickly through a bunch of hypotheticals. Are you interested in the idea of the Flipped Classroom, but unsure how it works, or what it actually means? In this video, I break down how my law class on Evidence proceeds - from start to finish. You'll also hear my thoughts on the flipped classroom, and better yet, the views of students who can tell you whether it works for them. 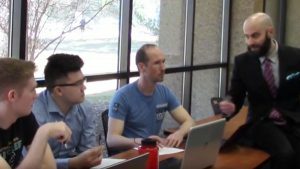 In this video blog, I explore the connection between workload and efficient use of the flipped classroom. Is it more work for students, and if so, can students still be interested in the process? The answers, as my students told me, are "yes" and "yes". Learn how! This is Part 2 of a discussion on how to enhance your use of the Flipped Classroom. The tips for today concentrate on "Flash Hypotheticals", and the use of factual variations. This short video discusses a few tips on how to enhance your use of the Flipped Classroom. The tips for today concentrate on the use of problem scenarios, and the issue of how to "time" problem solving. 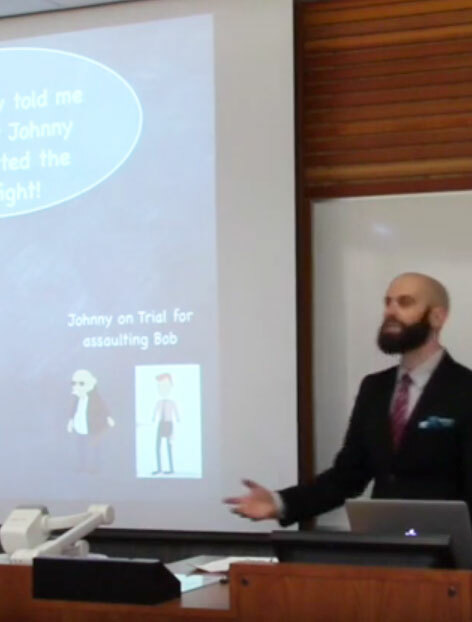 Here's my first talk on the Flipped Classroom, from the Future of Law School Conference (Edmonton, 2013) that explains my reasons for moving to this mode of teaching. In late 2013, I was on a panel with Craig Forcese of the University of Ottawa - another dedicated "flipper". We talk about the potential and challenges of this teaching method. We co-wrote and published a paper that draws upon the panel discussion. I co-wrote an article with Craig Forcese of the University of Ottawa about its potential and challenges. The future of law school requires faculties to focus on new learning models that recognize a growing student need for interactive learning and skill acquisition.